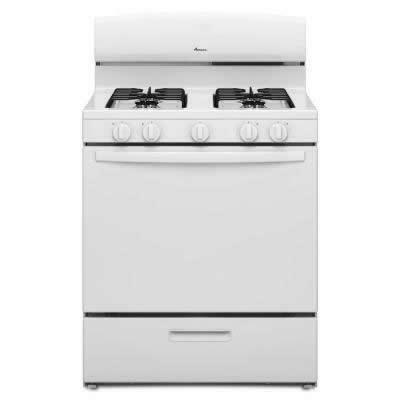 Amana 30" freestanding gas range with 4 burners. 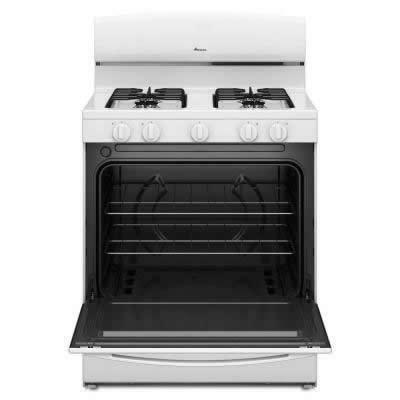 This range offers a 5.1 cu.ft oven capacity and features wire grates, drop down broiler and eletronic ignition. • Two adjustable oven racks. Use one of the full-width oven racks in the under-oven broiler to easily broil favorites. • Under-oven broiler: The full-width, drop-down door design spans the range from side to side to provide space for all your broiling needs. • Burner No.4 : 9500 BTU.